Today’s Readings and Gospel follow a specific pattern that speaks to us as Christians and particularly as Dominicans. The Responsorial Psalm describes how we are to imitate Jesus. Having accepted the mission to spread the Gospel, this is a prayer to our Master to give us the strength, tools, and courage we need to go forth and relay his message. In the psalm, we pray to God that we will be worthy of the task because he is with us, protecting and guiding us. It is like a pep-talk before the big game, a sales meeting before we hit the road. The Second Reading is a run-through of our mission, touching all the bases, but most especially the whole point of our work: to show the world that God is Love, that we revel in that Love, and that we are passing on the means to our own and the world’s salvation: Love. We, along with Jesus, put up the demons and one-by-one knock them down to replace them with the one honest-go-God’s Truth: Love. And as a bonus, we are given, and we give, the gifts of Faith and Hope, the companions and the servants of Love. The Alleluia reminds us, in no uncertain terms, that while we are bestowing God’s message we really ought to remember to whom we are truly speaking: the poor, captives, those who most need God’s grace. And finally, in the Gospel, Jesus tells us exactly what’s probably going to happen to us. We are going to be reviled and rejected. But, like Jesus, if we are true to our calling, and with God’s grace, we will pass through the midst of our tormentors and go on to those who will benefit from our teaching, and thank us for bringing it. Well. There we are. 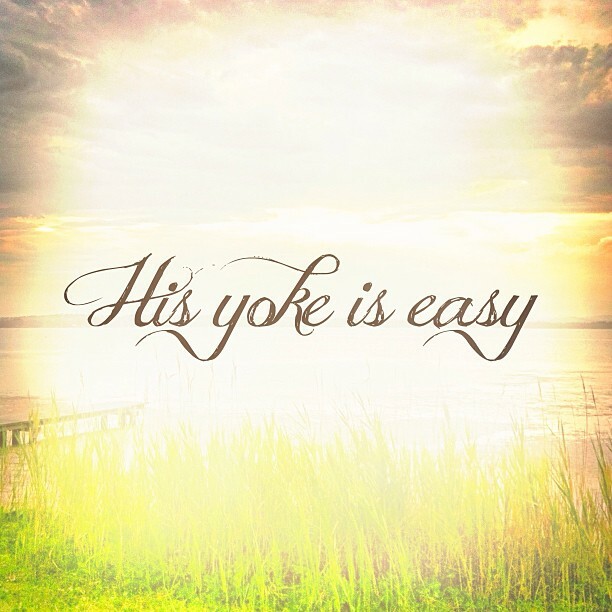 An easy yoke and a light burden. Wait a minute, though. Let me go back and think this through again. In today’s Mass we have the preacher’s lesson: God is on our side, we acknowledge our task and pray for success, we give our message as best we can, not forgetting who may need it most, and we prepare ourselves not only for people to heed God’s word, but also for people to scoff at us and drive us away. These are the readings that we need to memorialize and memorize. I do, anyway. These are the readings that lay out the simple mission and that show us exactly how it is to be accomplished. But in fact, frightening as all get-out at times. And that is exactly why we are expected to become completely familiar with Holy Scripture. Because therein, hidden as well as in plain sight, we have all we need to represent Jesus on earth. In fact, he’s not asking us to perform healing mysteries or loaves and fishes miracles. If we just take today’s Mass to heart, and to soul, we will have all we need to fulfill our vows. Yes, there will be stumbling blocks. I’ve climbed over (and honestly gone around) many so far. But just as Jesus showed us, we can and we will walk through the negativity and away from the precipice over which some would like to toss us. So yes, it can be, at times, a frightening path. For have we not been told in Psalm 126, “ Those who go out weeping, carrying seed to sow, will return with songs of joy, carrying sheaves with them. Lord may it be so for us, that with your help, we will reap a rich harvest. In Jesus’s name.